just a quick question! 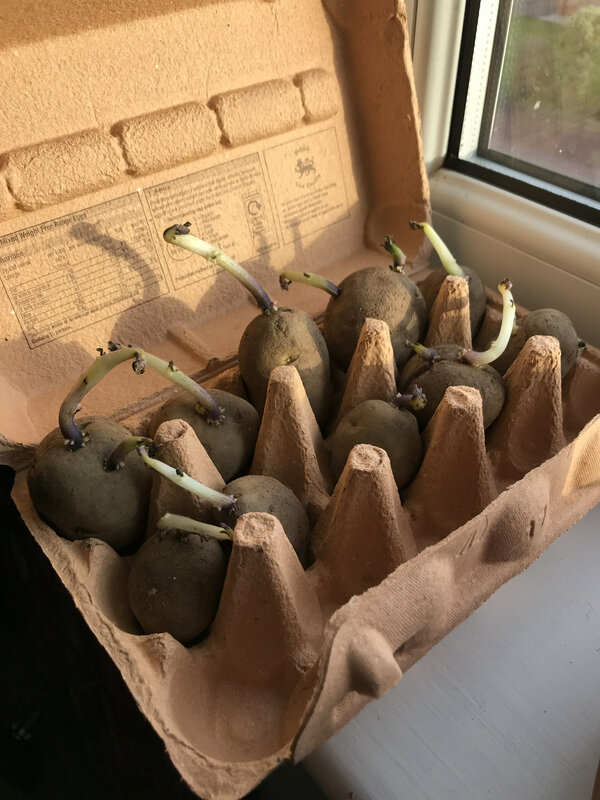 I’ve just received these seed potatoes from a friend which were still in the packet until now. I have taken them out to chit and noticed that they already have some rather long growth on them. Should I still chit them? Is this current growth something I should keep on or remove seeing as they’ve been in a cupboard? The variety is Arran Pilot. I’d keep them in as bright a light as possible but cool. That way the shoots should stay healthy and strong, but slow down a bit. Thanks dove, just wanted to check due to the lengths of the shoots produced. I’ve put them on a bright windowsill in the spare room. About how long should the shoots get to before I plant them out? They need to be planted so that by the time the leaves are up the danger of hard frosts has passed. Around here I reckon that’s usually about the end of March. You’ll have to be patient.